Strobe light. Useful when solving defect or testing moving parts, such as the ridge or pawl. U can visually set of moving part still or in slow motion by changing the frequency of the light pulses of the stroboscope. - Dim ambient light to have the best possible vision. 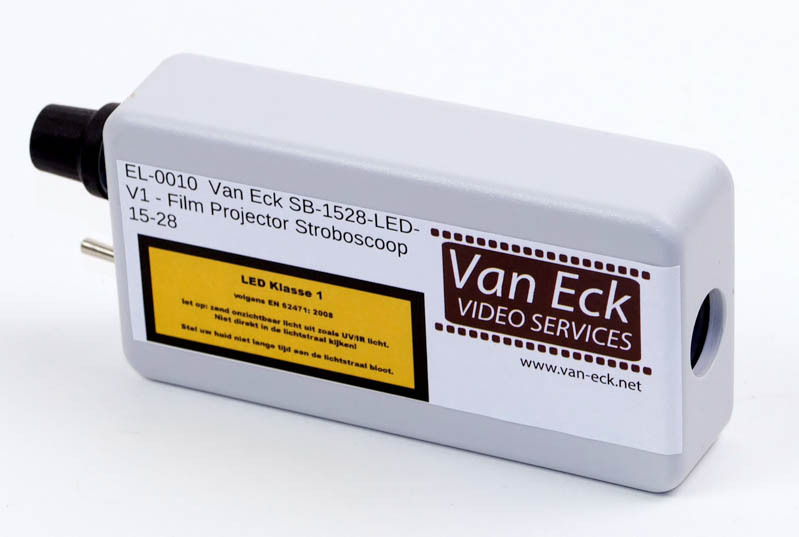 - If the projector emits light, you can turn off the light of the projector. - Adjust the speed of the light pulses in such a way that the object is visually still. After that change the speed a little bit, so that the object is visually moving in slow-motion. - Don't forget that that actual moving object is in reallity not standing still, and be carefull for this!